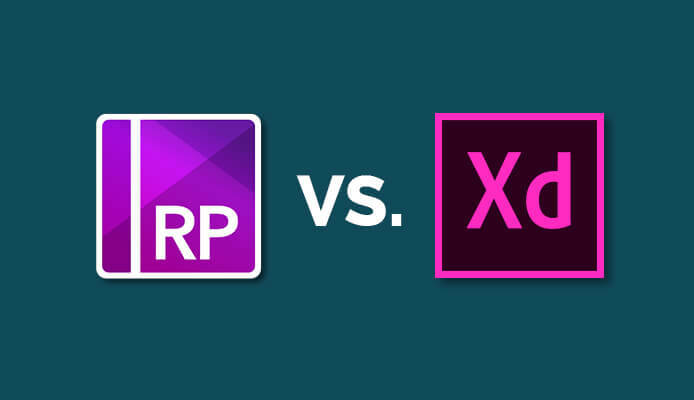 Axure RP (btw, RP stands for Rapid Prototyping) is an amazingly popular program amongst UX/UI designers. With Axure you can easily create wireframes and quickly build an interactive prototype. The program uses widgets that you can find in the library, which you can download or which you can even make yourself. You can also easily create complex prototypes with Dynamic Panels, which ensures that a part of a webpage can have different states. If you haven’t used Dynamic Panels yet, I would really advise you to give it a try. At first, the use of this function may seem a little frightening, but I can assure you, once you have created your first Dynamic Panel, you will not want to use anything else anymore. Recently I got to know the program for wireframing and prototyping from Adobe, Adobe Xd. Although this software tool is still under development, I immediately thought it was an extremely pleasant program to use. Why then is this such a great program? Well, contrary to Axure, Adobe Xd has fewer features, but really has an excellent User Experience. Since this software was made especially for UX-designers, the user experience by all means had to be first-class and they have certainly succeeded in this, despite the fact that there is still a great demand for special and sometimes very basic features. Of course, the Adobe Xd team also thought about the User Voice. Adobe brings the users of this program together on a forum where you can request features and report bugs. (https://adobexd.uservoice.com) The improvements that are suggested here are being analyzed, next Adobe will inform which suggestions are unfortunately and which they are developing, which is what I call a pleasant user experience, isn’t it? Features: Repeat Grid, assets (saved colors, text styles, symbols) and copy/paste appearance (text styles, colors, …), mask, etc. Both of the programs can help you in a UX/UI project. I would recommend using Adobe Xd at the start of a project because Adobe Xd is perfect for some first designs or a small project and let’s hope that the developers are creating some other awesome features fast. For a bigger and more complex project I would recommend you use Axure RP, by all means, because in Axure you can create more details and more interactions. If you are also planning to do some user tests, you should definitely create your prototypes in Axure RP. At last I would love to say: if you haven’t used one of those programs yet, just try it and make up your mind, on your own. All in all, it’s just a matter of preference!